The chief of a state-run health promotion agency said the government needs to raise the price of cigarettes by 2,000 won ($1.9) per pack to cut the nation’s notorious high smoking rate. “Raising cigarette price is like killing two birds with one stone,” said Moon Chang-jin, president of the Korea Health Promotion Foundation (KHPF), adding it helps to boost people’s health and reduces the government’s financial burden for treating diseases related to smoking. “I want the government to raise cigarette prices dramatically. They should be hiked by at least 1,000 won per pack, considering the inflation rate. It would be better if the hike was doubled to 2,000 won,” said Moon in an interview with The Korea Times in his office in Yeouido, Seoul, Tuesday. According to data from the Organization for Economic Cooperation and Development (OECD), Korea’s average cigarette price per pack was 2,500 won in 2010, the lowest among its member countries. It was about one sixth of that of Norway and Ireland whose cigarette prices per pack were 15,000 won last year. The nation’s smoking rate among men aged 15 or more was the highest among OECD member countries at 40.8 percent in 2010, hinting that the low price contributed to the high smoking rate. The bureaucrat-turned-public administrator said that there is clear evidence which proves the correlation between cigarette prices and consumption of tobacco. 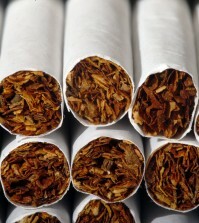 Higher cigarette prices contribute to reducing the smoking rate, in particular among low-income earners and minors, he added. Moon also chairs the World Health Organization Framework Convention on Tobacco Control (WHO FCTC), an international institution which regulates international policies on tobacco and cigarette products. He said the organization will continue to discuss measures to cut tobacco consumption in its next convention scheduled for 2014 in Moscow. 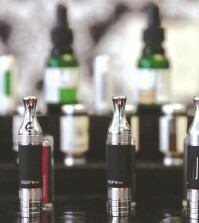 Moon also said the convention will focus on controlling smokeless tobacco as it is posing new health threats to smokers. 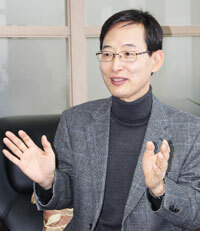 The Busan native said that he will spare no efforts to promote the health of Koreans as head of the KHPF and the WHO FCTC.